“Let us therefore love God, because God hath first loved us.” – John, iv. 19. Love and Goodness shown by God to Man. Consider, in the first place, that God deserves your love, because he has loved you before you loved him, and because he has been the first of all to love you. I have loved thee with an everlasting love.1 Your parents have been the first to love you on this earth; but they have loved you only after they have known you. Before your father or your mother came into this world, God loved you: even before the world was created, he loved you. And how long before the creation of the world did God love you? Perhaps a thousand years, or a thousand ages? It is useless to count years or ages; God has loved you from eternity. I have loved thee with an everlasting love; therefore have I drawn thee, taking pity on thee.2 In a word, as long as he has been God, he has loved you; as long as he has loved himself, he has loved you. Hence the holy virgin St. Agnes had reason to say: “I am prevented by another lover.”3 When the world and creatures sought her love, she answered: No, I cannot love you. My God has been the first to love me; it is but just, then, that I should consecrate all my love to him alone. Consider, moreover, the special love God has shown to you in allowing you to be born in a Christian country, and in the bosom of the true Church. ... The number of those who have the happiness of being born in a country where the true faith prevails, is small, compared with the rest of mankind; and he has chosen you to be one of that small number. Oh, what an infinite gift is the gift of faith! 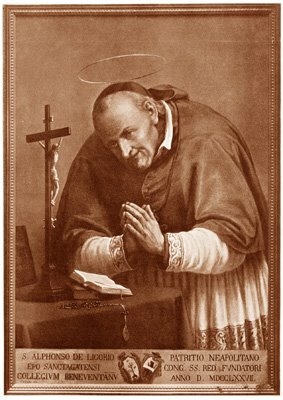 How many millions are deprived of the sacraments, of sermons, of the examples of good companions, and of all the other helps to salvation which are found in the true Church! And God is resolved to give all these great helps to you without any merit on your part, and even with a foreknowledge of your demerits; for when he thought of creating you, and bestowing these graces upon you, he foresaw the insults which you would offer to him. O sovereign Lord of heaven and earth, infinite good, infinite majesty! who hast loved men so tenderly, how does it happen that Thou art so much despised by them? But among these men, Thou, O my God! hast loved me in a particular manner, and hast bestowed on me special graces, which Thou hast not given to so many others. And I have despised Thee more than others. I prostrate myself at Thy feet; O Jesus, my Saviour! “cast me not away from Thy face.”5 I would deserve to be cast off on account of my frequent ingratitude to Thee. But Thou hast said that Thou wilt not reject a penitent soul that returns to Thee. Him that cometh to Me, I will not cast out.6 My Jesus, I am sorry for having offended Thee. Hitherto I have not known Thee. I now acknowledge Thee for my Lord and Redeemer, who hast died in order to save me and to be loved by me. When, O my Jesus! shall I cease to be ungrateful to Thee? When shall I begin truly to love Thee with a true love? Behold, I this day resolve to love Thee with my whole heart, and to love nothing but Thee. O infinite Goodness! I adore Thee for all those who do not adore Thee, and I love Thee for all who do not love Thee. I believe in Thee, I hope in Thee, I love Thee, and offer my whole being to Thee. Assist me by Thy grace; Thou knowest my weakness. But if Thou didst bestow so many graces upon me when I neither loved nor desired to love Thee, how much greater graces should I hope for from Thy mercy now that I love Thee and desire only to love Thee! My Lord, give me Thy love, but a fervent love which will make me forget all creatures a strong love, which will make me conquer all difficulties in order to please Thee; a perpetual love, which will never be dissolved between me and Thee. I hope for all graces through Thy merits, O my Jesus! and I hope for them through thy intercession, O my mother, Mary. God has given Himself to us. But God has not only given us so many beautiful creatures—he was not content until he even gave us himself. He loved us, and delivered himself up for us.7 Accursed sin had robbed us of the divine grace, and made us the slaves of hell; but, to the astonishment of heaven and of all nature, the Son of God came on earth to become man in order to redeem us from eternal death, and to purchase for us the grace and the eternal glory which we had lost. How great would be our wonder if we saw a monarch become a worm for the love of worms! But our astonishment would be infinitely greater at the sight of a God made man for the love of men. He emptied Himself, taking the form of a servant, . . . and in habit found as man.8 A God clothed in flesh! And the word was made flesh.9 But the astonishment increases when we see all that this Son of God has done and suffered for the love of us. To redeem us it would have been sufficient for him to shed a single drop of his blood, or a single tear, or to offer a single prayer; for a prayer offered by a divine person would be of infinite value, and therefore sufficient for the salvation of the whole world, and of an infinite number of worlds. 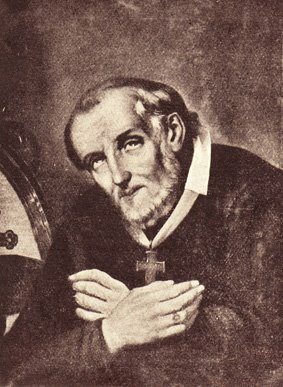 But, says St. Chrysostom, what was sufficient for redemption was not sufficient for the immense love which this God bore to us.10 He not only wished to save us, but, because he loved us ardently, he wished to be loved ardently by us; and therefore he resolved to lead a life full of sorrows and humiliations, and to suffer a death the most painful of all deaths, in order to make us understand the infinite love which he entertained for us. He humbled Himself, becoming obedient unto death, even to the death of the cross.11 O excess of divine love, which all men and all angels will never be able to comprehend! I say, excess; for Moses and Elias, speaking of the Passion of Jesus Christ, called it an excess.12 St. Bonaventure called the Passion of Christ an “excess of sorrow and of love.”13 If our Redeemer had not been God, but a friend or a relative, what greater proof of love could he have given, than to die for, us? Greater love than this no man hath, that a man lay down his life for his friends.14 If Jesus Christ had to save his own Father, he could not have done more for the love of him! If, my brother, you had been God and the creator of Jesus Christ, what more could he have done for you than sacrifice his life in the midst of a sea of torments and sorrows, for the love of you? If the most contemptible man on earth had done for you what Jesus Christ has done for you, could you live without loving him? But what do you say? Do you believe in the incarnation and death of Jesus Christ? You believe these mysteries; and do you not love him? or, can you think of loving anything but Jesus Christ! 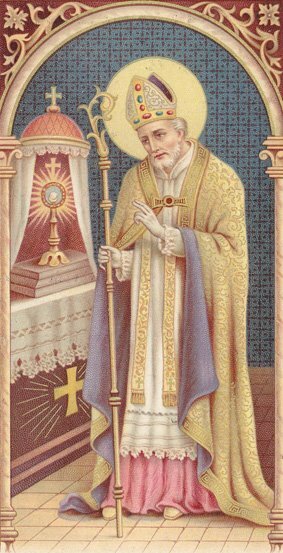 He, says St. Augustine, has come on earth to suffer and to die for you in order to make known to you the. immense love which he bears you.15 Before the Incarnation, man might doubt whether God loved him tenderly; but how, after the Incarnation and death of Jesus Christ, can he any longer doubt that God loves him with the most tender love? And what greater tenderness of affection could he show you, than to sacrifice his divine life for the love of you? Our ears are accustomed to hear of creation, of redemption, of a God in a manger, of a God on a cross. O holy faith, enlighten us! O my Jesus! 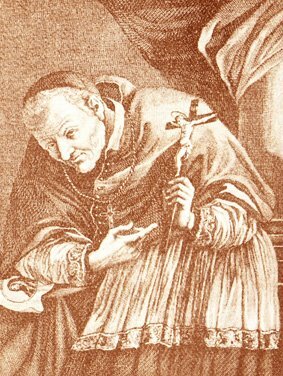 I see that Thou couldst have done nothing more in order to compel me to love Thee; and I also see that by my ingratitude I have labored to force Thee to abandon me. Blessed forever be Thy patience, which has borne with me so long. I would deserve a hell made on purpose for myself; but Thy death gives me confidence. Ah! make me understand well the claims which Thou, O infinite Good! hast to my love, and the obligations by which I am bound to love Thee. I knew, O my Jesus! that Thou didst die for me; how then, O God! have I been able to live for so many years in forgetfulness of Thee? Oh that the past years of my life commenced again! I would wish, O my Lord! to give them all to Thee. But years do not return. Ah! grant that I may at least spend all the remaining days of my life in loving and pleasing Thee. My dear Redeemer! I love Thee with my whole heart; but increase this love within me. Remind me always of all that Thou hast done for me; and do not permit me to be any longer ungrateful to Thee. No; I will no longer resist the lights Thou hast given me. Thou didst wish to be loved by me, and I desire to love Thee. And whom will I love, if I do not love a God of infinite beauty and infinite goodness? a God who has died for me? a God who has borne with me with so much patience, and who, instead of chastising me as I deserved, has changed chastisements into graces and favors? Yes; I love Thee, O God! worthy of infinite love, and I sigh and seek to live wholly employed in loving Thee, and forgetful of everything but Thee. O infinite charity of my Lord! assist a soul that ardently desires to be entirely Thine. 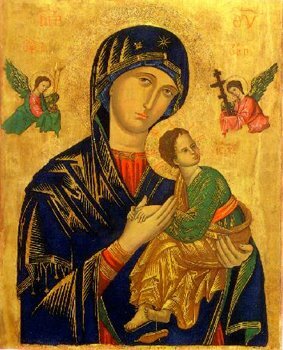 O great mother of God, Mary, do thou too assist me by thy intercession; beg of Jesus to make me belong entirely to him. Love that Jesus Christ has shown in His Passion. And why has he done so? He has done so that we might no longer live to the world, but only to that Lord who has died for us. Christ died for all, that they also who live may not live to themselves, but unto Him who died for them.23 He has done it that, by the love which he has shown us, he might win all the affections of our hearts. For to this end Christ died and rose again, that He might be the Lord both of the dead and of the living.24 Hence the saints, contemplating the death of Jesus Christ, thought it very little to give their life and all things for the love of so loving a God. How many noblemen, how many princes, have left relatives, riches, country, and even kingdoms, to shut themselves up in a cloister, in order to live only to the love of Jesus Christ! How many martyrs have sacrificed their life! how many tender virgins, renouncing the nuptials of the great, have gone with joy to death, in order thus to make some return for the affection of a God who had died for their sake! And, my brother, what have you hitherto done for the sake of Jesus Christ? 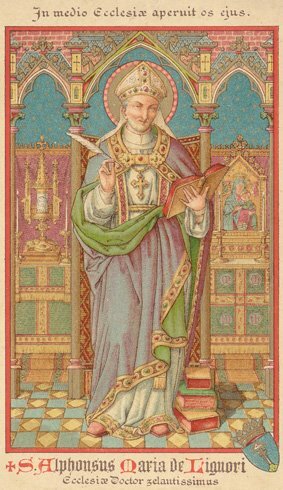 As he has died for the saints—for St. Laurence, for St. Lucy, for St. Agnes, so he has also died for you. What do you intend to do during the remaining days of life, which God gives you that you may love him? From this day forward, look frequently at the crucifix, and, in looking at it, call to mind the love which Jesus Christ has borne you, and say within yourself: Thou hast then, my God, died for me? Do this at least, I say, and do it often; if you do, you cannot but feel yourself sweetly constrained to love a God who has loved you so tenderly. Ah, my dear Redeemer! it is true that I have not loved Thee because I have not reflected on the love which Thou hast borne me! Ah, my Jesus! I have been very ungrateful to Thee! Thou hast given Thy life for me by submitting to the most painful of all deaths; and have I been so ungrateful as not even to think of Thy sufferings? Pardon me; I promise, O my crucified Love! that from this day forward Thou shalt be the only object of my thoughts and of all my affections! Ah! when the devil or the world presents me a forbidden apple, remind me, O my beloved Saviour! of the pains which Thou hast endured for my sake, that I may love Thee, and may never more offend Thee! Ah! if one of my servants had done for me what Thou hast done, I could not bring myself to displease him. And I have dared to turn my back so often on Thee, who hast died for me. O beautiful flames, which have obliged a God to give his life for Me, come, inflame, fill my whole heart, and destroy all affections to created things. Ah, my beloved Redeemer! how is it possible for me to contemplate Thee, either in the manger, in Bethlehem, on the cross on Calvary, or in the sacrament on our altars, and not be enamored of Thee? My Jesus! I love Thee with my whole soul. During the remaining Years of my life Thou shalt be my only good, my only love. I have unhappily lived long enough forgetful of Thy Passion and of Thy love. I give Thee all things, and if I do not give myself to Thee as I ought, take me, and reign in my whole heart. Thy kingdom come. May my heart be the servant only of Thy love. May I speak of nothing else, may I treat of nothing else, may I think of nothing else, may I sigh and desire only to love and please Thee. Assist me always by Thy grace, that I may be faithful to Thee. In Thy merits I trust, O my Jesus! O mother of fair love! make me ardently love thy Son, who is so amiable, and who has loved me so tenderly. 1“In charitate perpetua dilexi te.” – Jer. xxxi. 3. 2“In charitate perpetua dilexi te; ideo attraxi te, miserans.” – Jer. xxxi. 3. 3Ab alio amatore præventa sum. 4“Cœlum et terra et omnia mihi dicunt ut te amem.” – Conf, l. 10. c. 6. 5“Ne projicias me a facie tua.” – Ps. l. 13. 6“Eum qui venit ad me, non ejiciam foras.” – John, vi. 37. 7“Dilexit nos, et tradidit semetipsum pro nobis.” – Eph. v. 2. 8“Semetipsum exinanivit, formam servi accipiens . . . et habitu inventus ut homo.” – Phil. ii. 7. 9“Et verbum caro factum est.” – John, i. 14. 10Quod sufficiebat redemptioni. non sufficiebat amori. 11“Humiliavit semetipsum factus est obediens usque ad mortem, mortem autem crucis.” – Phil. ii. 8. 12“Dicebant excessum ejus, quem completurus erat in Jerusalem.” – Luke, ix. 31. 14“Majorem hac dilectionem nemo habet, ut animam suam ponat quis pro amicis suis.” – John, xv. 13. 15“Propterea Christus advenit, ut cognosceret homo quantum eum diligat Deus.” – De catech. rud. c. 4. 16“Baptismo autem habeo baptizari; et quomodo coarctor usquedum perficiatur!” – Luke, xii. 50. 17“Desiderio desideravi hoc pascha manducare vobiscum.” – Luke, xxii. 15. 18Hominum amore nequit expleri Deus. 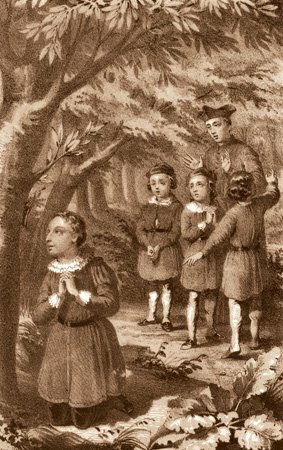 19“Charitas enim Christi urget nos.” – 2 Cor. v. 14. 20“Vidimus sapientiam amoris nimietate infatuatam.” – Serm. de Nativ. 21“Prædicamus Christum crucifixum, Judæis quidem scandalum, Gentibus autem stultitiam.” – 1 Cor. i. 23. 22“Dilexit nos, et tradidit semetipsum pro nobis.” – Eph. v. 2. 23“Pro omnibus mortuus est Christus, ut et qui vivunt, jam non sibi vivant, sed ei qui pro ipsis mortuus est.” – 2 Cor. v. 15. 24“In hoc enim Christus mortuus est et resurrexit, ut et mortuorum et vivorum dominetur.” – Rom. xiv. 9. 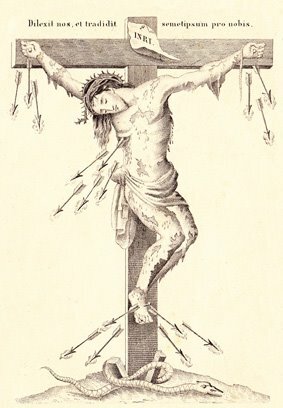 A drawing of the original crucifix painted by the Saint.